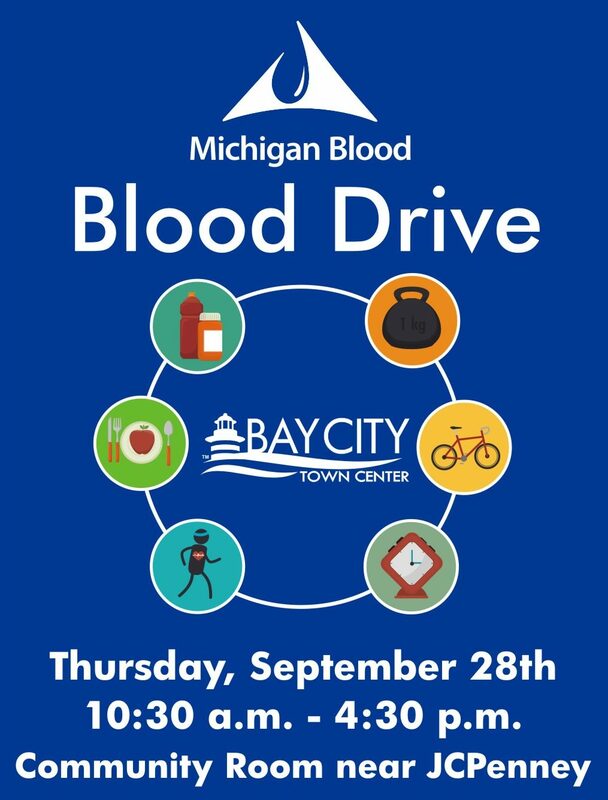 Bay City Town Center is partnering with Michigan Blood for a Blood Drive at the center on Thursday, September 28th. 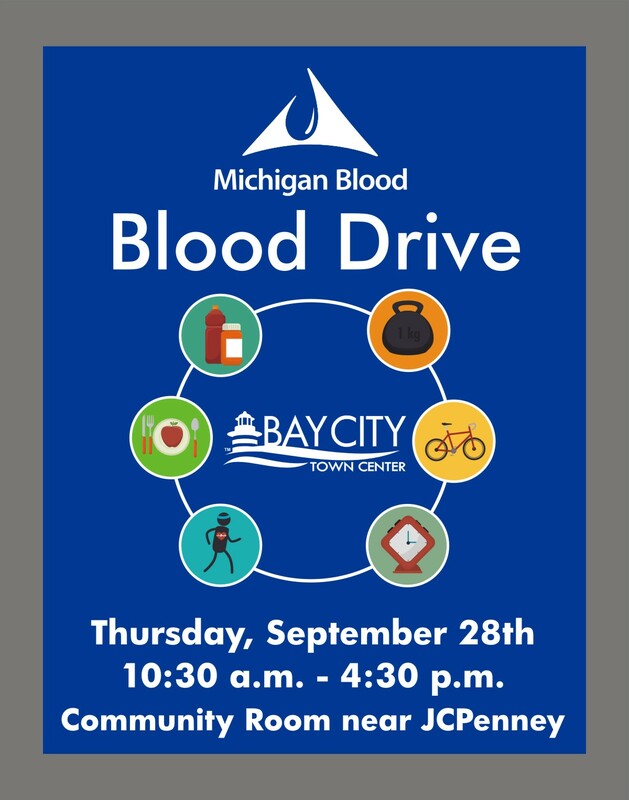 It will take place in the Community Room in the JCPenney wing from 10:30 am to 4:30 pm. I have attached the signage that we have out right now. Additional information: Anyone who attempts to donate will receive a FREE t-shirt! Appointments are preferred but not required. For questions, please contact 1-866-642-5663 or visit miblood.org. For questions, please contact 1-866-642-5663 or visit miblood.org.